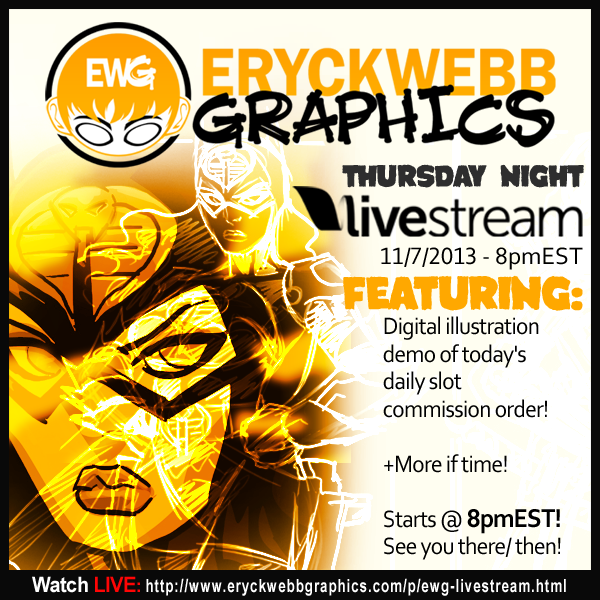 This week's EWG Thursday Night Livestream is going to focus on today's Daily Slot Commish for Ksnellings and his character ordered. If energy and time allow afterward will work on something else. See it happen here on the EWG Livestream channel by clicking the 'featured' button on the right menu of this website! See you there! 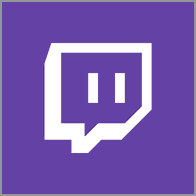 Stream starts approx 8pmEST and goes till at least 10pmEST! 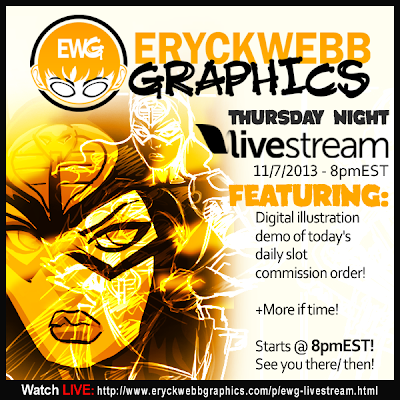 EWG Livestream Commission Night! - Special Offer! New TnC #16 out today!